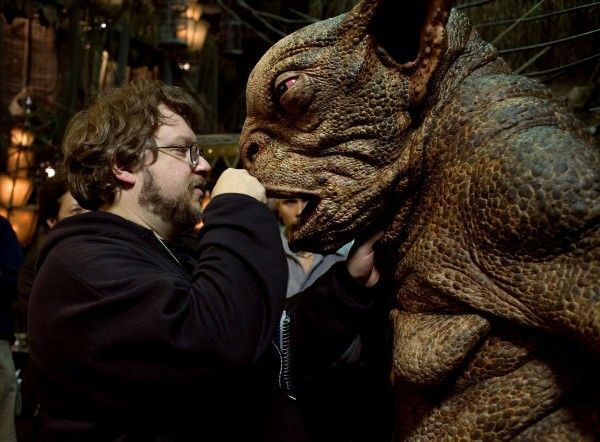 Filmmaker Guillermo del Toro is rather beloved among the cinephile community, and as such, there is always immense interest in what projects he has on the horizon. He’s been incredibly forthcoming with his potential slate in the past, but since actually getting a movie to production is a very difficult task, some of those projects have subsequently fallen by the wayside for one reason or another. Lately, del Toro has been a bit more tight-lipped about what he has on the horizon, but as he’s currently in post-production on Crimson Peak, it was just announced that he will be returning to direct Pacific Rim 2 for a 2017 release and he starts designing the Kaiju and Jaegers next month. However, earlier today Steve spoke with del Toro and the filmmaker revealed to us that Pacific Rim 2 isn’t the only feature film he’s developing. He’s also planning a very small black and white film that he intends to shoot before he dives into the sure-to-be-massive Pacific Rim sequel. More after the jump. Though del Toro is undoubtedly skilled with larger, colorful films like Pacific Rim and Hellboy, I’m enthused to hear that he’s planning a return to the small-scale pics akin to those from his early career before diving back into the world of Pacific Rim. Though I’m obviously intrigued to learn more about the project, I think it’s kind of swell that del Toro is keeping this one a bit more mysterious. Look for more from Steve’s interview with del Toro very soon.